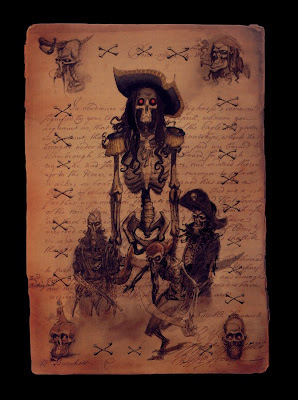 Here's an image I cobbled together in honor of "Talk Like a Pirate Day." 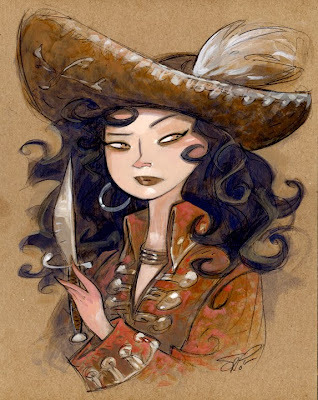 Since I didn't talk like a pirate and nothing requires me to write like a pirate I did this instead. It's painted on a piece of thick cardboard on top of a loose sketch. I didn't want to get bogged down in planning it out too much. Just wanted to make a picture. 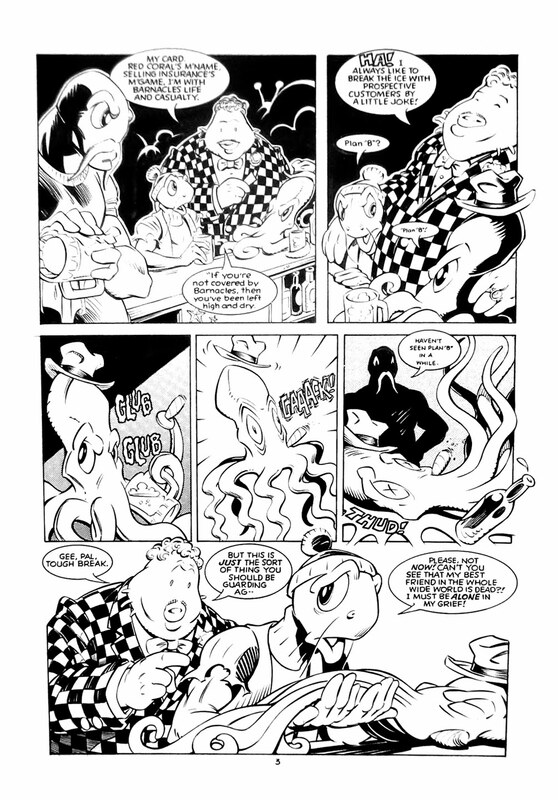 A friend of mine posted an auction for a some original pages I did for his book Fish Police. 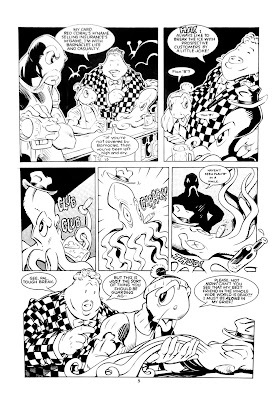 They were done around the same time as the first Sam & Max comic and are penciled and inked in the same style. 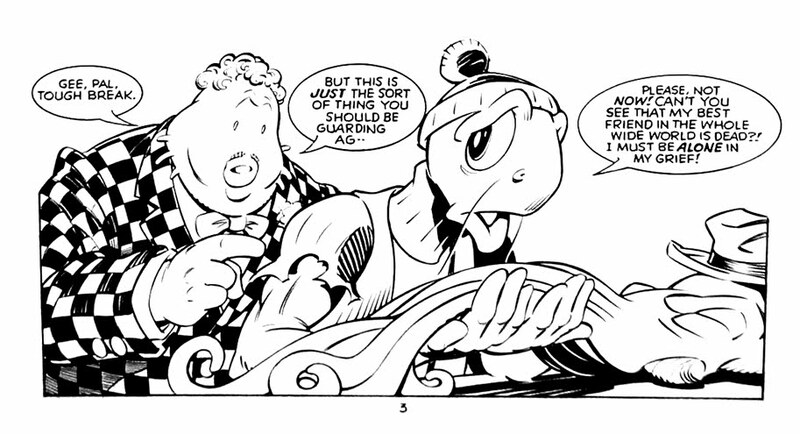 I sort of like the John Candyish salesman guy and remember having fun drawing the pissed off octopus. If you've ever browsed some of my comics pages to possibly purchase, he's posting the four page story on ebay. Steve Moncuse created Fish Police and wrote this short, and even if you don't bid on the auction you should at least thank him for being the one to publish the first Sam & Max comic book. So if it was really a contract it probably wouldn't have a bunch of pirate skeletons scrawled all over it. I can't quite remember how this piece came to be. Something about trying to dress up a document with images. I like something about it though it doesn't quite make sense anymore.